Immediately following the Rodeo on both Thursday & Friday evenings, the Boone Country Band featuring local talent Dan Gliko of Sunburst is going to kick off another party in the dirt. (Well, maybe not the dirt. How about the Grandstand area instead?) It would probably be a good idea to wear your dancing boots. You're gonna need em. 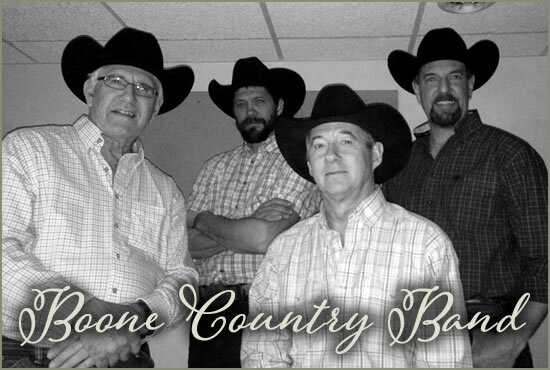 The Boone Country Band has been playing together for over ten years. Well, much longer than that actually - this is a family band. Dan, along with his Dad and cousins from Belt MT are quite the musical bunch and know how to play the right kind of tunes everyone can dance to. There's a good lineup of classic & modern country, with some good ol' rock-n-roll mixed in. Copyright © 2018, Marias Fair - Shelby, Montana - All Rights Reserved.